Sector leaders have been left “disappointed” after the government delayed its decision on whether to provide maintenance loans for higher level learners studying technical education in FE. On September 9, FE Week reported that the Department for Education had stalled on the issue, but promised to “make a statement in the autumn”. With the season drawing to a close, FE Week followed up with the DfE, asking if they would be announcing the decision by the end of November. The department was unable to give any firm details on the date of any future announcement, meaning there has been a further delay. 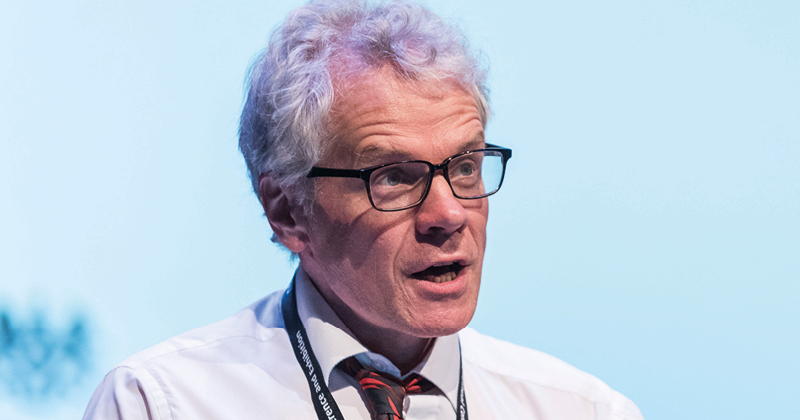 Julian Gravatt (pictured), assistant chief executive of the Association of Colleges, said: “It’s disappointing to see that the DfE has pushed back the announcement of its decision on providing maintenance loans for those studying at higher levels. Mark Dawe, chief executive of the Association of Employment and Learning Providers, said: “We’re a little disappointed that there is no news yet on this. In September, when it published the outcome of a consultation on whether to introduce maintenance loans, the DfE concluded that it would “take time to consider the responses” and scheduled a full announcement of its plans for November. A DfE spokesperson said at the time: “We are going to take time to consider the responses to the consultation in light of the report by Lord Sainsbury, which has implications for higher level technical learning and how it should be delivered in the future. The consultation, which was carried out by the Department for Business Innovation and Skills between March 24, and June 16, 2016, aimed to test whether support for the introduction of maintenance loans in FE was on a par with the level of support available in higher education. It also looked at whether this support should only be made available to 19+ learners studying level four to six technical courses at specialist providers, and whether part-time learners should be supported as well. The DfE found that “respondents felt that the introduction of a loans package would help achieve the objective of increasing the number of learners undertaking technical and professional learning in key sectors that are important to the economy”. Nearly three quarters of respondents thought that maintenance loans in FE should also be available to part-time learners.